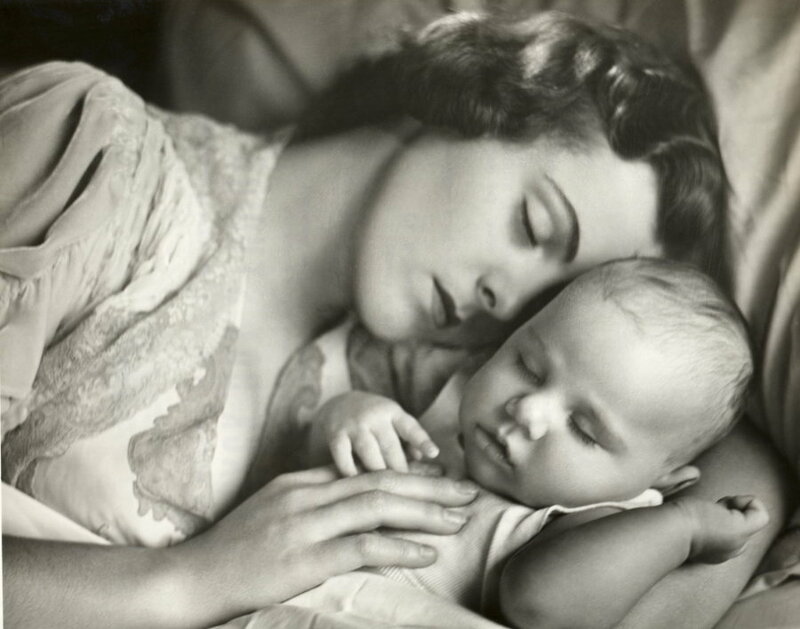 Of course, there is no better beauty tip than recommending you to take a good night’s sleep. A soundless 6-7 hours’ sleep is not only important to keep yourself energized for the next day, but it can also help you to get rid of premature aging and dark circles. 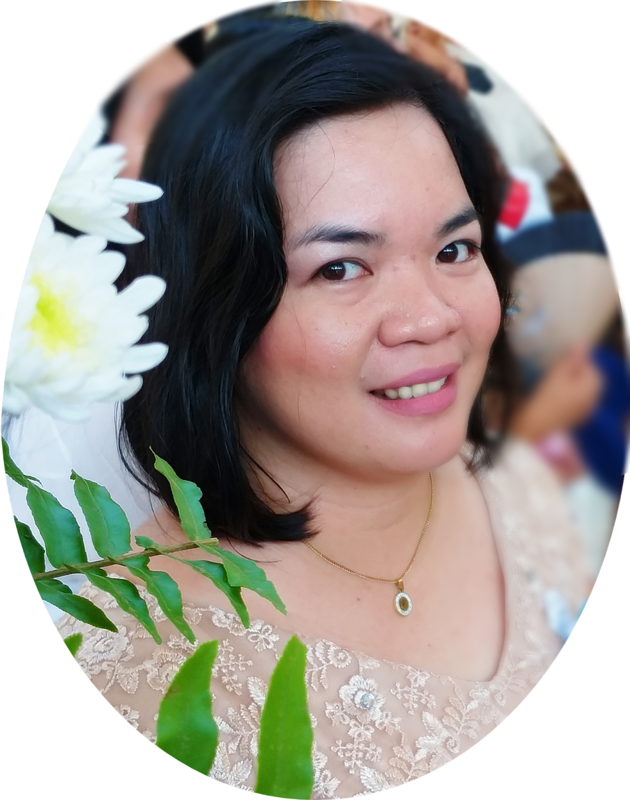 Giving rest to your constantly working brain also helps you to stay calm and stress free while you act as a supermom to handle your notorious kids! Yes, we know how painful it was to see hair precious hair fall out and get thinner during and after pregnancy! It’s time to accept your natural hair texture and stop using useless stuffs on it to get the volume back. Follow a regular hair care routine like overnight oiling, followed by using a conditioner and a shampoo the next day with organic hair care products, to help restore your gorgeous locks. Remember, the more you worry about your hair, the more it falls! Before you go to sleep, it’s very crucial to maintain a regular night care beauty regime. 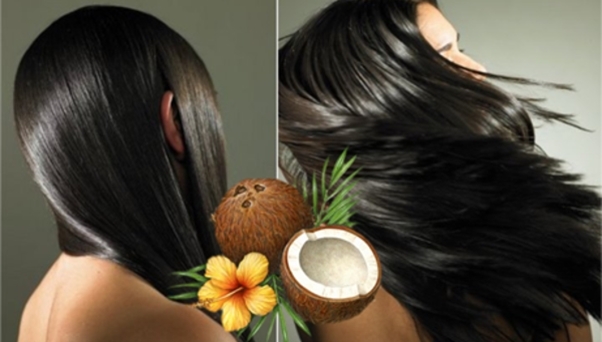 For your hair, you can use coconut oil for a deep conditioning treatment and braid your hair before you go to bed, to make it super thick within months. Always make sure that you buy an organic quality coconut oil to reap the best benefits of it. For your face, you must cleanse it thoroughly with a pH balancing cleanser to get rid of all the dirt particles and unclog the pores. 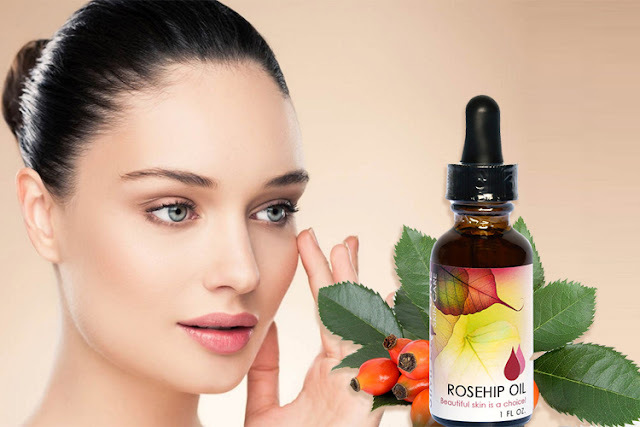 Follow it up with DIY rosehip oil infused moisturiser to look younger for years to come. Always make sure that you use organic quality makeup and beauty products for your skin. Awaken your eyes with bold eyeliners and blend it up with dark kohl, before you step out of your house. Never forget to apply a tinted and a moisturizer based sunscreen to get that flawless looking face. Alternatively, you can also use BB creams that work both as a moisturizer and a foundation. Following these simple beauty hacks every day can help you save time on those expensive spas and parlors and yet, help you to stay young and glowing forever. Uy mga besh! Please congratulate me. Sunud-sunod posts ko this week e. Hopefully magtuloy-tuloy na ito. 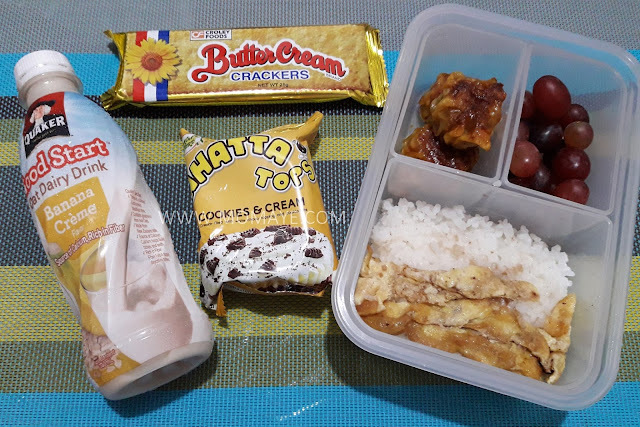 Anyway, matagal ko na talaga gusto itong ibalik, and bento baon serye. Yup I know patapos na ang school year pero okay lang atleast marami na kayong baon ideas for the next school year right? I am not an expert though and I just prepare simple baon for my son just what he likes. 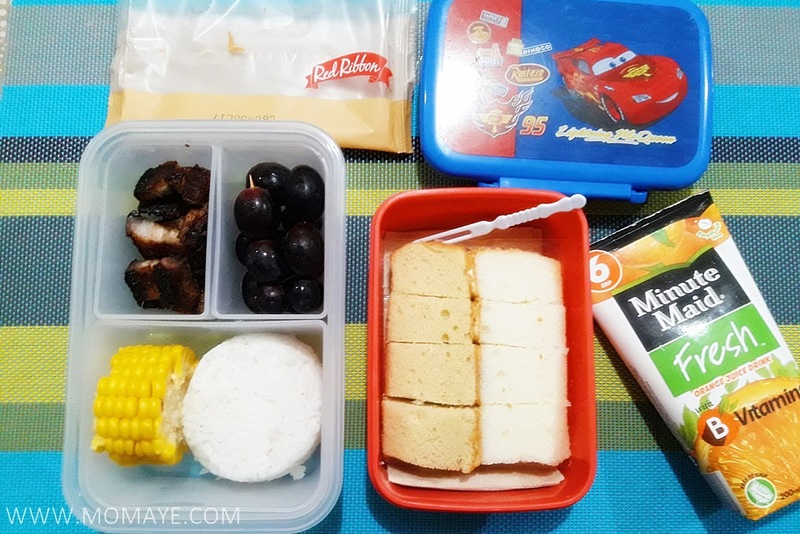 I choose to start this bento baon serye by sharing the first bento baons I made when the school year started last June. 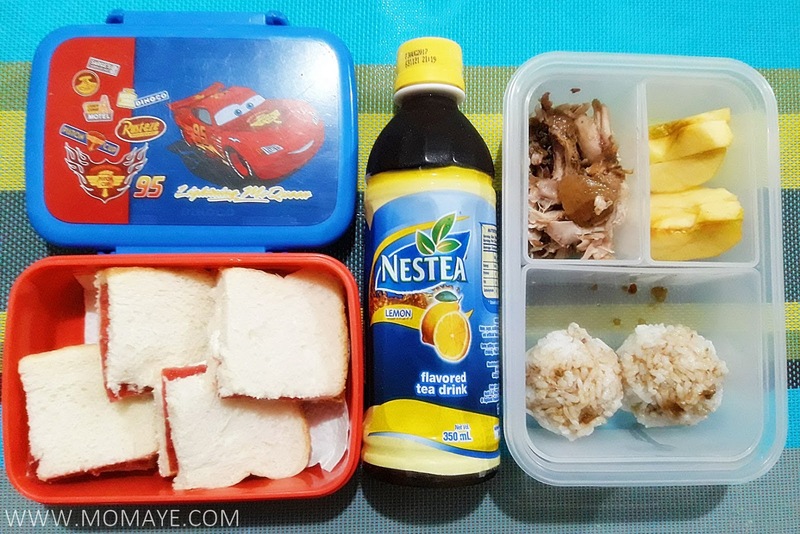 Just what I have said, my son prefers simple baon like this. Though I have bento picks, I didn't use them at first for fear that he may losing them. E ang mahal pa naman. I used cookie cutter to cut eggs like this iron man cookie cutter. If you notice, puro grapes like side dish. It's his favorite. Though I also include apple and oranges from time to time. 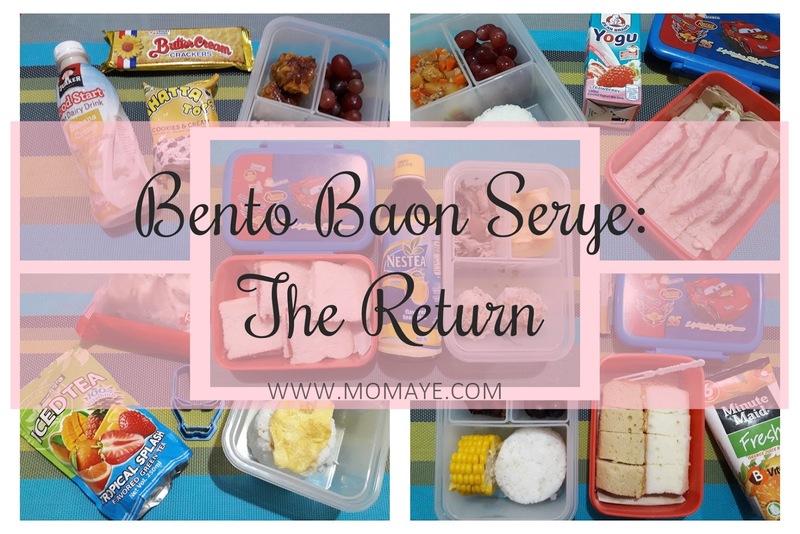 So that's all for our bento baon serye come back post. Naks! See again next week for another set of bento baon. The love month is not yet over. Let me share some tips on how to love your self more. Let's be healthy and love our self. 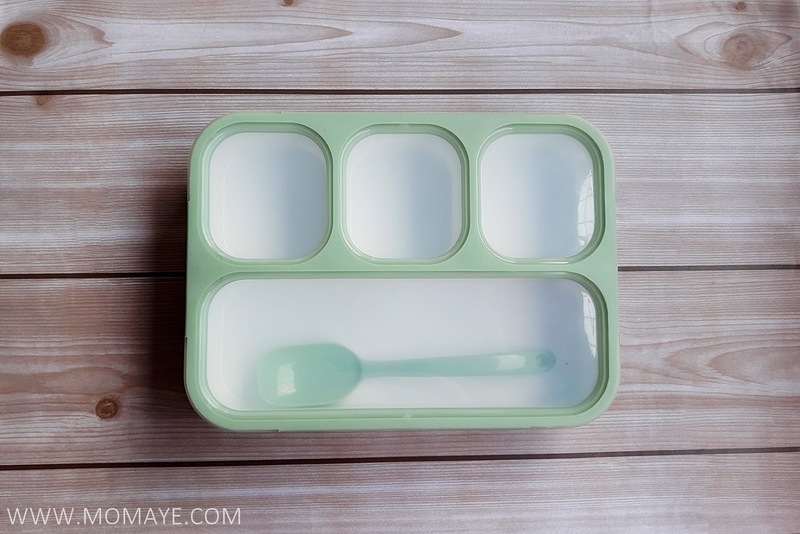 If you are following me at Instagram (@mommymaye), you will know I am a big fun of bento making. 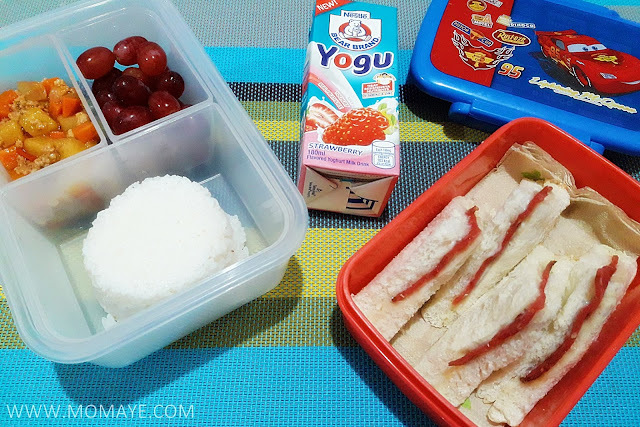 Making bento baon for my son makes me feel happy and fulfilled. It's a way of making for the time I can't be with him. When I can't be with him during his snack and lunch breaks. 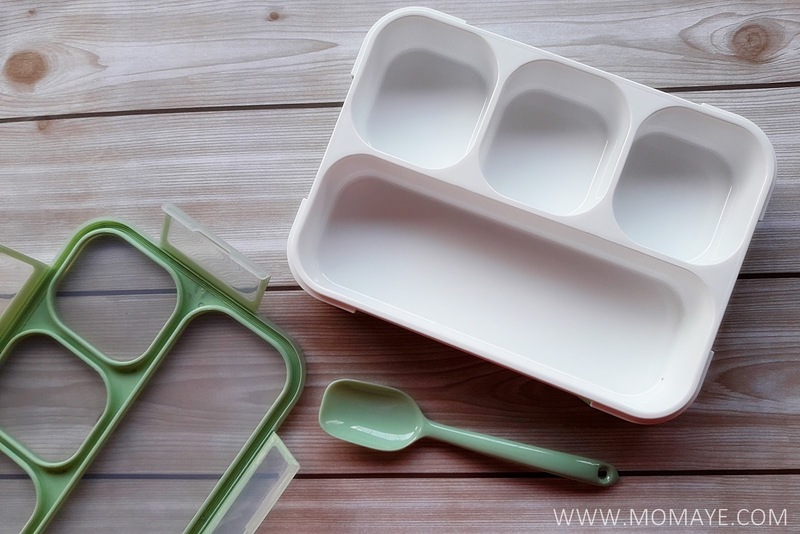 Because of that, I have this little addiction to bento lunch box, tools and accessories. 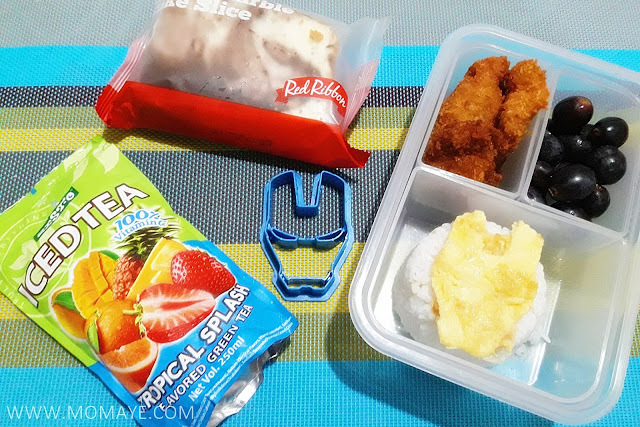 (Read: My Bento Tools from Shopee and Daiso and Yumbox and Stainless Steel Lunch Box). Then last week, I saw a very nice lunch box. I contacted the supplier as soon as I saw it and wasted no time to order one and two for my kumare. Look so nice right? This bento lunch box is available in two colors. This is the green one, which I bought for my little boy. 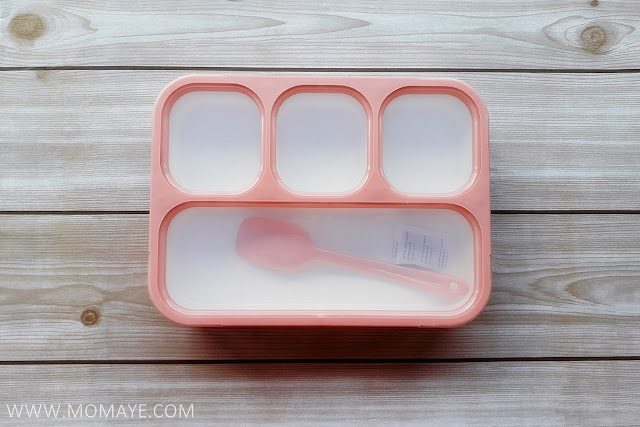 And this pink box that my kumare ordered. This lunch box is claimed to be leaked proof. 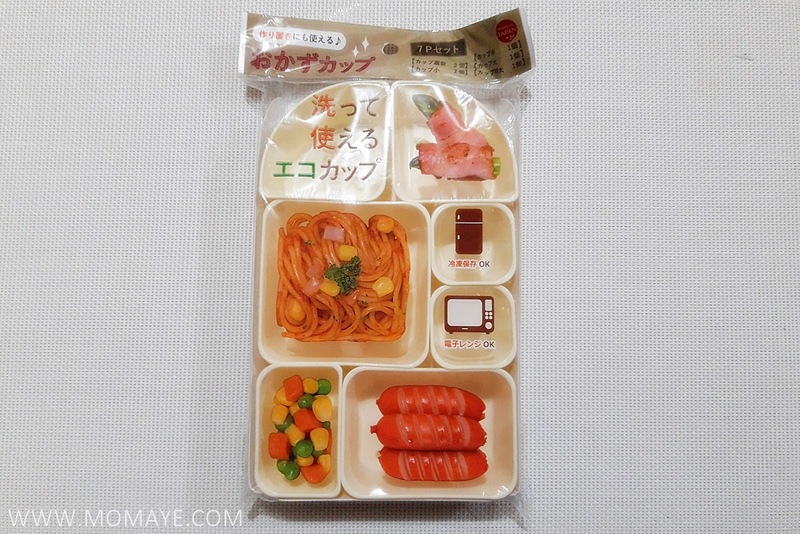 I have yet to try this new bento lunch box. Super excited na ako actually. I also bought this food portion container set at Japan Home Center at 88 pesos only. Almost half the price of the one being sold online. 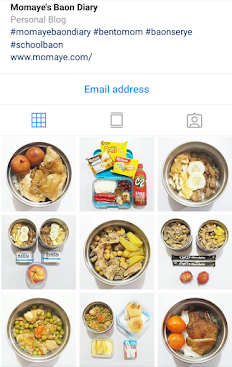 Kaya naman super excited na ako sa bukas to try this bento lunch box. 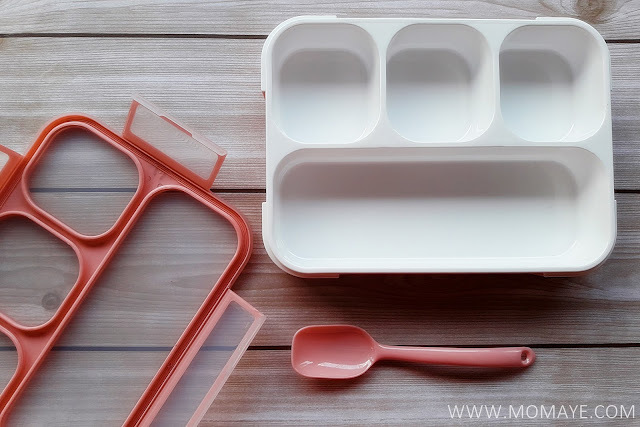 By the way, if you want this bento lunch box too, please send me a personal message at our Momaye's Shoppe FB page. If okay sya and really leaked proof, I will resell it. That's all for now and let's spread #bentolove! It's been a while since I made an update here. Again, my apology. Been very busy lately with my work. I did plan to blog at night but since I really get tired of working all day, I ended up sleeping, haha. Anyway, I will not make any excuses anymore but instead will just show you what Daddy A is currently working on. Yeah, that's Daddy A busy designing our plant box, Yes again, it's a plant box in front of our house. 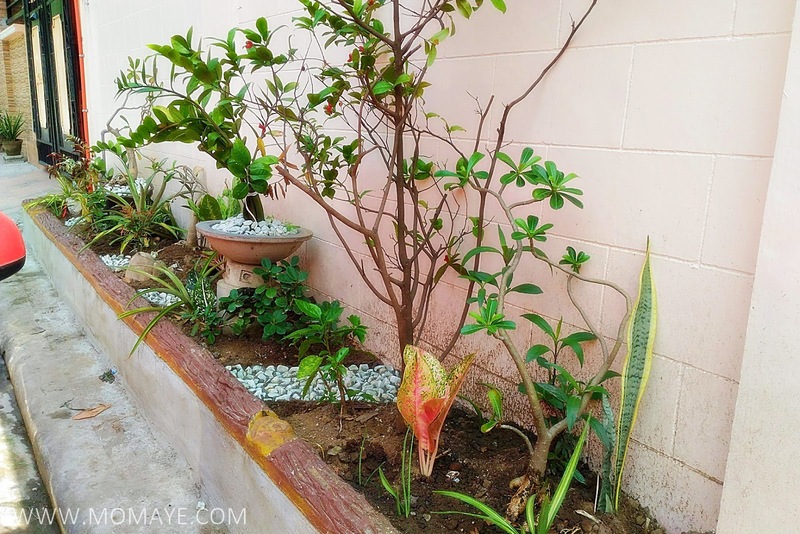 The simplest garden we can have because of limited space. Actually, Daddy A has been bugging me about this plant box a long time ago pa. He wanted a garden so I told him to just wait and I will set a budget for that. Luckily, Daddy A's Papa knows a lot of carpentry works including making a plant box. 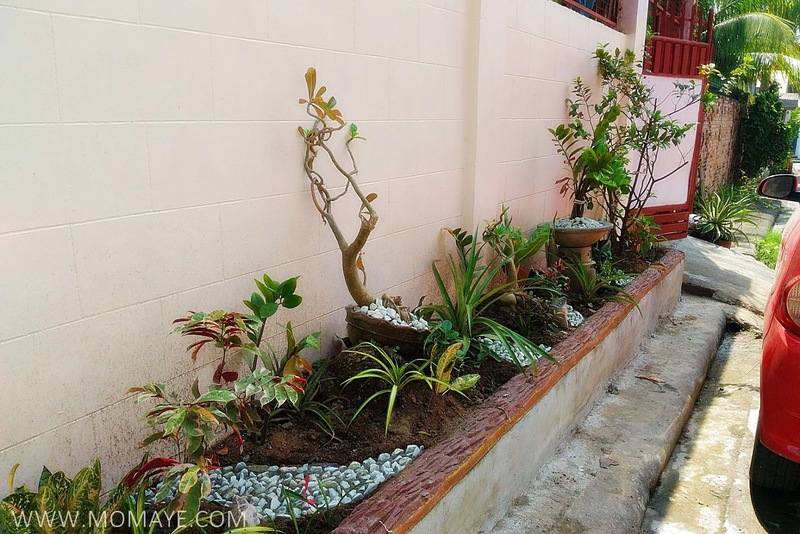 So when they went here to celebrate new year, these two men worked together to make this nice little garden. This is our first house improvement for the year, along with a little home improvement at the back of our house. That I will share once it's picture ready hehe. Back to Daddy A's little garden. 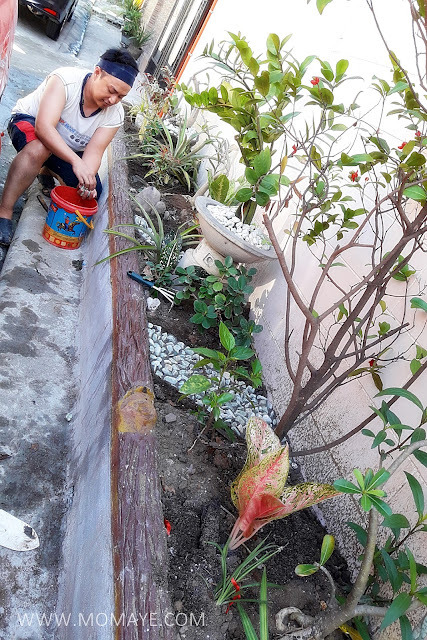 Just this morning, he's busy again designing our little garden. He fixed the garden stones with a cement. 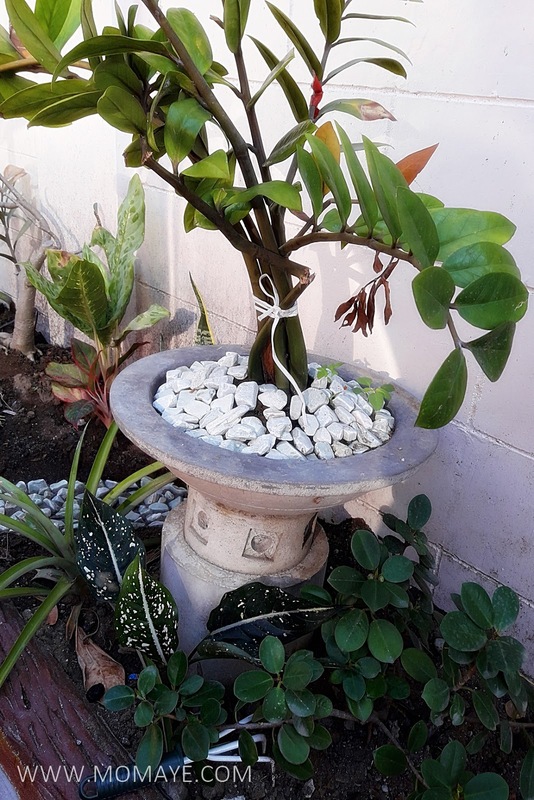 By the way, we bought those garden stones at 150 pesos per bag. Just enough to design our little garden. This "kawa" we bought at 200 pesos with the stand. 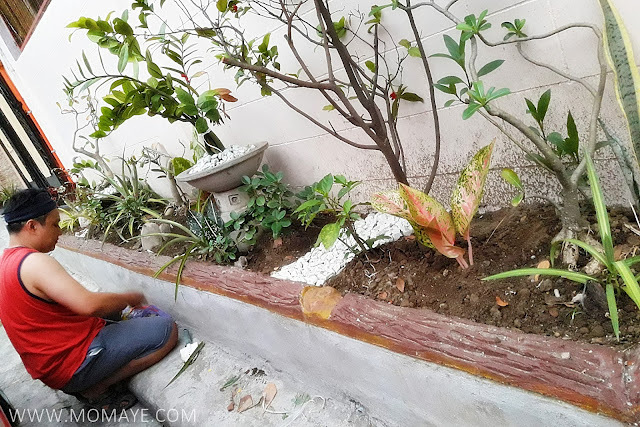 You can also buy garden soil at 50 pesos per bag. 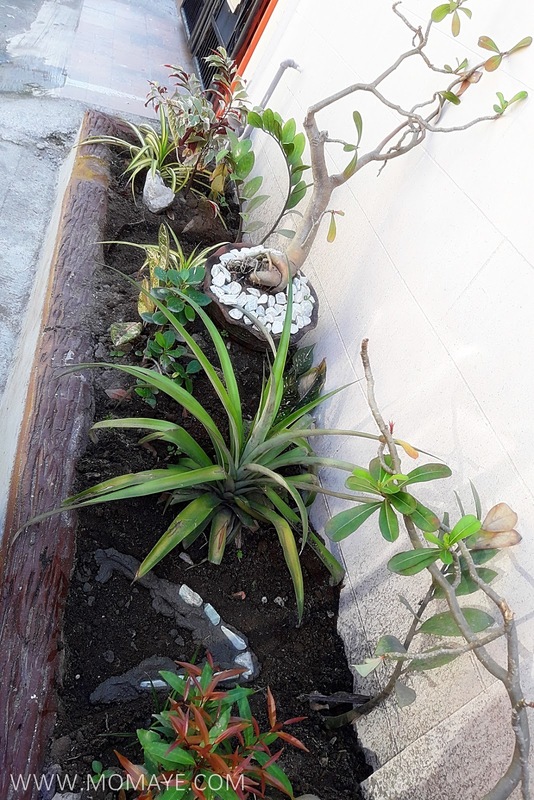 Then the plants that he put are our old plants. He just choose what to put so it will not look crowded or like a forest, hehe. If you notice, our home improvements are all do it your self. I am lucky that Daddy A is very much inclined with home works, aside from he has a helpful Papa. That's why we save a lot of money and also he can make what he wants to make. 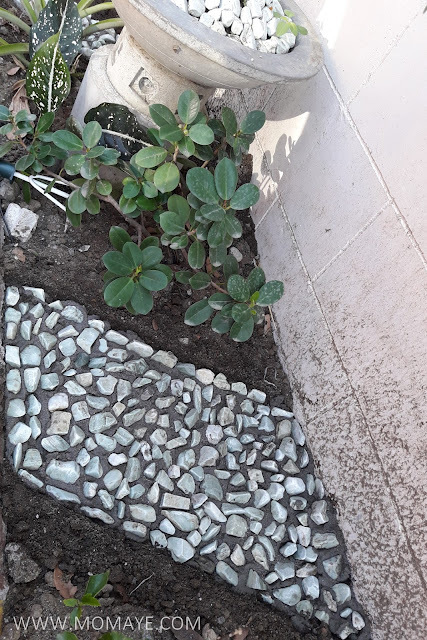 Just like this garden, though the design is not yet finished. Daddy A still plan to put garden grass there. It's still out of stock as per the store we went to so while waiting, he's doing some repainting. Pardon the not so good sight. Our house is already 10 years and needs a lot of improvement and renovation. 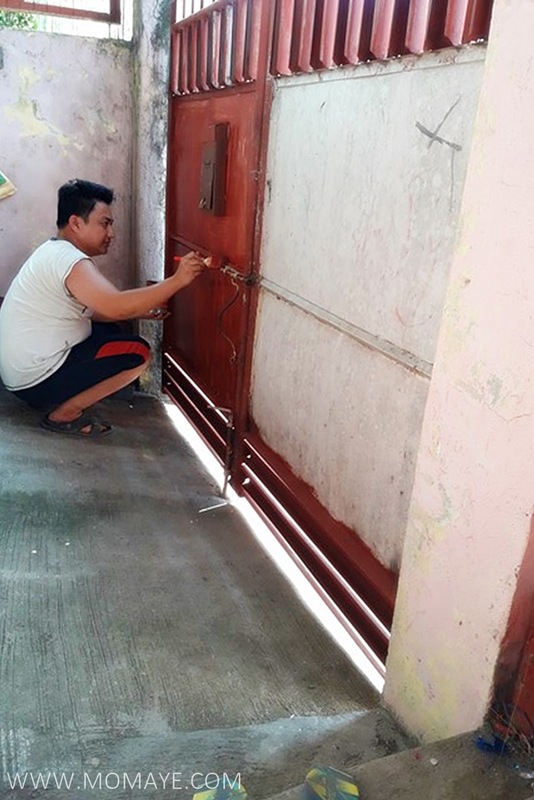 We are still thinking whether we will have a home renovation or we will look for a new house near our work place.Traffic going to work is becoming worse each day and moving to a much nearer place is our best option now. Both home renovation and moving to a new home are not easy because it will require us a selfstorage as temporary safety place of our things. Hopefully, by the end we can decide what's the best for ours. Thank God we are done with its monthly amortization and our house is ours! That's our first home improvement for the year. After repainting, we will have a bathroom improvement. We are planning to install bidet seat since it's becoming popular now. What do you think? Again, happy Gong Xi Fa Cai! Hello February! Where did January go? Are you also wondering where? Haha. I had a very busy January. That maybe the reason why I didn't notice it was already over. I didn't even have my year end post. My apologies for not posting enough to entertain you. I don't want to make promises again but one thing is for sure, I am just here and will be back every now and then. Will that me okay? Hmmm, thank you so much for staying with me for the past years. Anyway, did you know that it's only 11 months before the holiday? Oh, I am always excited for Christmas. So just like last year, I started saving this early for Christmas. I am also thinking of what gifts to give. In this way, I'll feel less stress when the holidays come. Holiday stress is so real right. I am so sure most people do experience this stress especially when Christmas day is coming near. 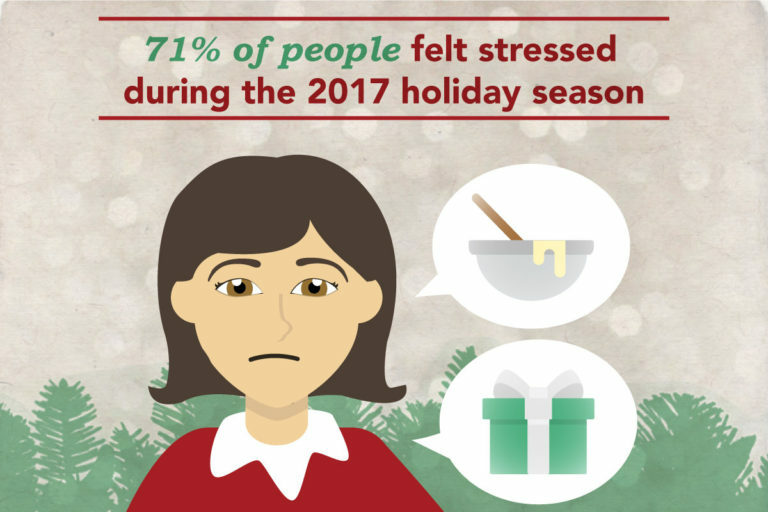 According to a post-holiday survey stress conducted across America, 71% of people felt stressed during the 2017 holiday season. 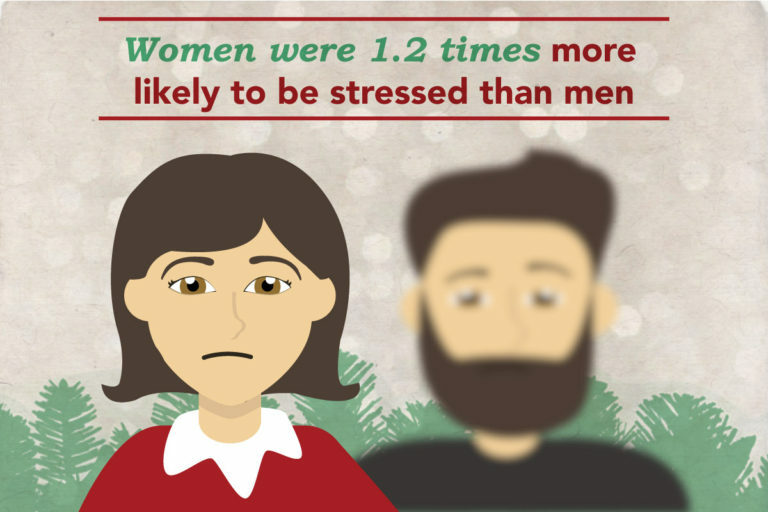 The survey also showed that women were 1.2 times more likely to be stressed than men. And I agreed with it 100%. Because we women are the ones who take care of what gifts to give, the food to serve, the house and almost everything the family needs during holidays. The survey also revealed that 61% of people say spending time with loved ones is one holiday tradition that makes them the happiest. 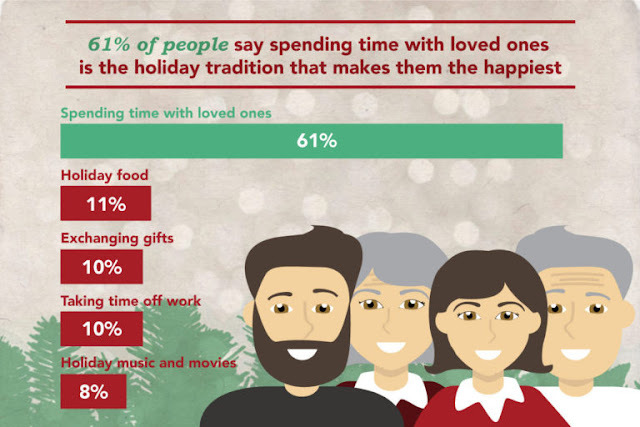 Just like me, I am sure you will agree with it because Christmas is spending time with the family. 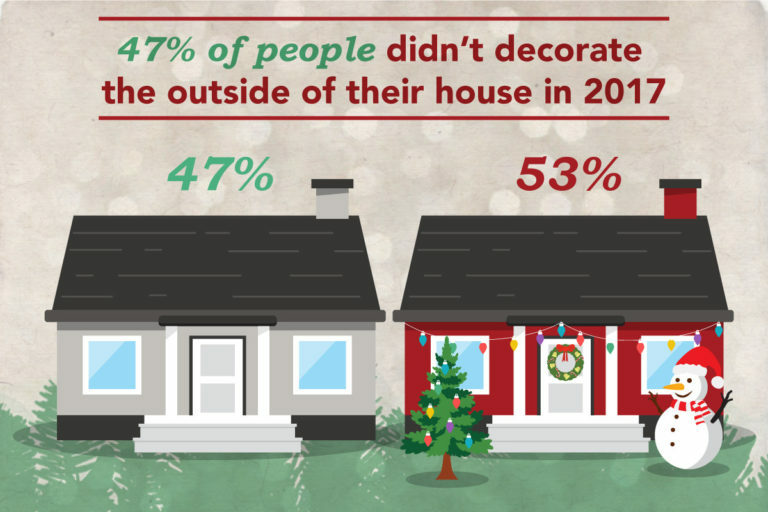 While I think everyone loves to decorate their house during holidays, the survey surprising says only 53% did decorate they home. Decorating our home is one Christmas tradition we will not forget. Putting up the Christmas tree, decorating it and lighting the lights make us feel more the spirit of Christmas. Apart from those above, I am sure you also have your own post-holiday stress experience. Actually, for me, the aftermath of Christmas holiday went until January. Haha. Anyway, Christmas will always be the most wonderful time of the year. And the stress it brings will always worth it. Agree?